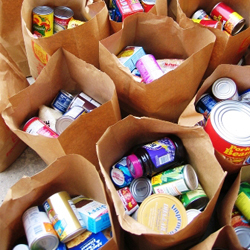 DayLight Prayer – Lord, my prayer today focuses on people who have food insecurity. You know who they are, and how they worry if there will be enough to go around for supper, or if the kids will have a bite to eat before school, or whether the food will last until the check comes. Help me to know when and how to help, so that what I do will leave intact the feelings and dignity of anyone who suffers.